Today was a beautiful day! Especially since it's Victoria Day and I didn't have to go to work. I got some more gardening done and did some sewing. This block was kinda tricky, even though it doesn't look that bad. 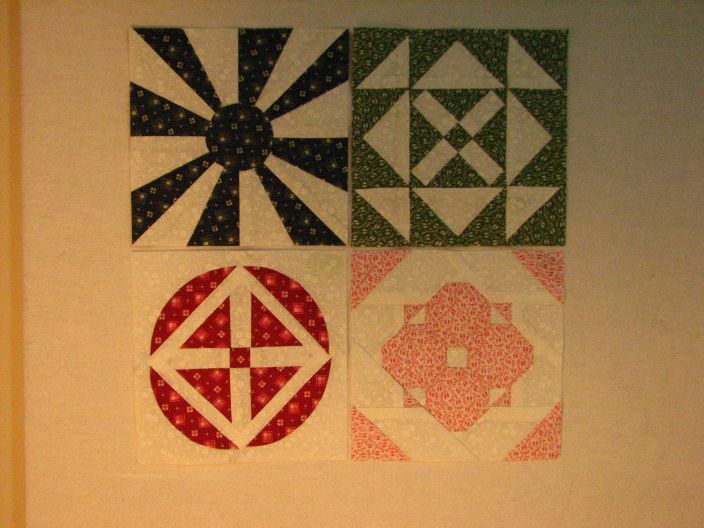 I'm going to lose my points on my HSTs when I sew it into the quilt - not sure how that happened. 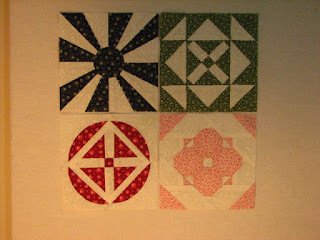 And I'm linking up to Patchwork Times. I'm also working on some very cute crib shoes, using a pattern I bought on Etsy. I've hit a snag with a confusing measurement so I emailed the pattern creator and am waiting to hear back. More on those another day. I like your block. Does it have a name? Hi Dar - Thanks. 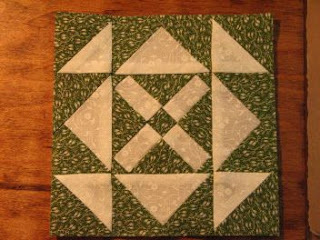 It's part of a Dear Jane quilt. The name is Mary's Journey and the position on the quilt is G9.